I’d seen Emberly’s work but never seen an interview with him so I was excited to see this YouTube video. Writers, take the time to watch it. You’ll get some very inspiration insights from someone who is a master in his field. This is someone who’s weathered numerous changes in the field. How? He illustrates for people who are like he is — not every child, but the children who love what he loves. He isn’t trying to satisfy everyone at once. He isn’t afraid to try new things. He willingly evaluates how his career is going and what changes need to be made. Seriously, take the time to watch this and see if you don’t come out recharged and ready to write. A big thank you Phyllis Harris who brought this video to my attention. I’d love to say that I made my word count last week, but you probably noticed that not much got marked Done! After I felt cruddy for a day, my son came down with a respiratory infection. I can always work with him home, but since I didn’t feel good either, motivation was lacking. Still, I managed to pull down 5600 out of 6000 words. Not great, but not horrid either. I’m not sure what I’ll manage this week because I’m taking today off — its my birthday! 1 review on the Bookshelf. Done! Come up with interview questions and solicit interviews for my next CW article. Deadline: 3/15. Pitch some ideas to a nonfiction editor. Finish the cookbook proposal and get it out. Work up some ideas for leveled readers. Work on the middle grade. Go over the Plot Whisperer notes that I originally made. Pull out the YA that I’m going to workshop at a retreat this spring. If you’re like me, your favorite books tend to be clustered on one shelf (or bookcase, depending on number). What if they could be inset in your coffee table? That’s the idea behind Lisa Finster’s customized book tables. See here. Cool as it is, I guess her customer’s know far neater people than I know. No spills. No hors d’oeuvres bobbles. Still, it fascinates me in a morbid what-does-red-wine-do-to-archival-paper way. Setting isn't just where but when. Spring? Summer? Winter? I’ve been doing a lot of reading online, mostly short stories. And I’m seeing the same thing again and again. Maybe the author let’s me know that the characters are in Tennessee. Or Kentucky. Maybe the fact is even revealed that they are on a college campus, but one setting element is left out time and time again. What is it? The time. I have no idea when these stories are set. I suspect that the authors are doing this in an attempt to make them feel timeless, but it isn’t working. The biggest reason that it isn’t working is that I’m consciously looking for a year because the stories feel dated. Part of it is the characters’ names. Gut instinct tells me that these are people I could have gone to school with because everyone has names like Dan, Chas, or Jane. There’s not a Caitlyn or Jessica among them. Incidentally? I know college age people names Caitlyn and Jessica. But I suspect its more than just the names. In my mind, the boys have one slim legged jeans and polos. The girls? Enormous glasses, not the sleek, rectangular frames of today. And there is nothing wrong with setting a story when you were a teen. Just make sure that its clear that that is what you are doing. You don’t want the editor or the reader to think that you’re doing a bad job setting a story in the here (Missouri) and now (2012). Su Blackwell is an amazing paper artist who creates a variety of 3-D sculptures, often out of second hand books. Check out the portfolio on her site. That’s what this post was going to focus on until I watched this video made by Crabtree and Evelyne. The company approached Blackwell to do a job for them and also made this video. It describes how she goes to first additions for inspiration only (she does not craft with first editions), the basic inspiration for a piece, how long it takes her to make a sculpture, and the actual process. It is fairly easy to see the backbone that the book itself forms in Blackwell’s work, how she draws on something pre-existing and uses it as a platform for a new creation. Does this make you think about your own work any differently? Yesterday morning, the American Library Association announced the winners of their coveted medals. Unlike some years, I’m happy to say that I’ve already read some of them (I’ll color these red and will also link to reviews of written). Dead End in Norvelt by Jack Gantos (Farrar Straus Giroux). Still waiting for my copy to come in! Kadir Nelson for Heart and Soul: The Story of America and African Americans (Balzer + Bray). Shane W. Evans, illustrator and author for Underground: Finding the Light to Freedom (Neal Porter Book). Wonderstruck: A Novel in Words and Pictures by Brian Selznick (Scholastic Press). To Susan Cooper whose books include Over Sea, Under Stone; The Dark Is Rising; Greenwitch; The Grey King; and Silver on the Tree. Soldier Bear by Bibi Dumon Tak, illustrated by Philip Hopman, translated by Laura Watkinson (Eerdmans Books for Young Readers. The Lily Pond by Annika Thor, and translated by Linda Schenck (Delacorte Press). Diego Rivera: His World and Ours illustrated by Duncan Tonatiuh (Abrams Books for Young Readers). Maximilian and the Mystery of the Guardian Angel: A Bilingual Lucha Libre Thriller by Xavier Garza (Cinco Puntos Press). Balloons over Broadway: The True Story of the Puppeteer of Macy’s Parade by Melissa Sweet (Houghton Mifflin Books for Children). The Elephant Scientist by Caitlin O’Connell and Donna M. Jackson, photographs by Caitlin O’Connell and Timothy Rodwell (Houghton Mifflin Books for Children). Witches! : The Absolutely True Tale of Disaster in Salem, written and illustrated by Rosalyn Schanzer (National Geographic Society). Putting Makeup on the Fat Boy by Bil Wright (Simon & Schuster BFYR). with or without you by Brian Farrey (Simon Pulse). Tales for Very Picky Eaters by Josh Schneider (Clarion Books). See Me Run by Paul Meisel (Holiday House). Where Things Come Back by John Corey Whaley (Atheneum Books for Young Readers). The Notorious Benedict Arnold: A True Story of Adventure, Heroism & Treachery by Steve Sheinkin (Flash Point/Roaring Brook Press). Music Was It: Young Leonard Bernstein by Susan Goldman Rubin (Charlesbridge). Looks like I’ve still got a lot of reading to do! Which is your favorite so far? 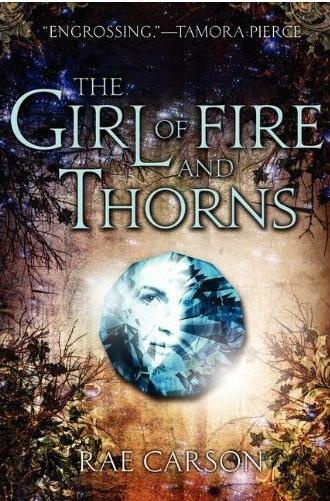 I’d have to go with Carson’s Girl of Fire and Thorns. With all of the work that I did on pitches and cleaning up my office, I’m surprised I made my word count. But I did! 6044 out of 6000 words. Let’s assume that I can manage it this week too. Goals with Deadlines: Nary a one, folks. But I’m working on getting more (see the goals below). Pitch some ideas to one of my newsletter editors. Done! Pitch some ideas to a nonfiction editor. In progress. Finish the cookbook proposal and get it out. In progress. 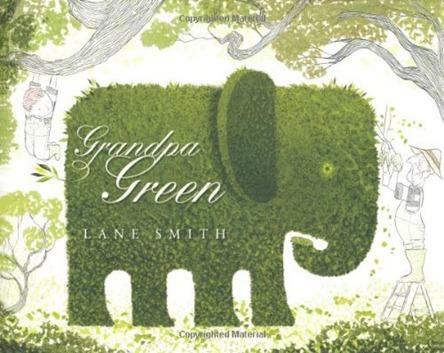 Research nonfiction picture book markets. Done! Do some more work on a PiBoIdMo idea. In progress. I hope that everyone can stand another post on book trailers. Most book trailers focus entirely on the book itself. Or on the author. 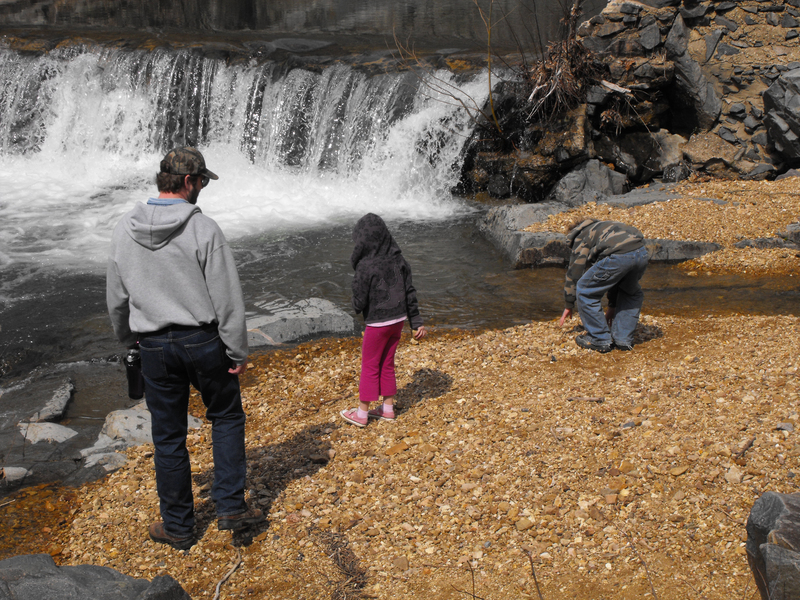 But here are three that manage to do something a little different. The first is for a picture book called A Dog Is a Dog. For the most part, this focuses on the book, but it does so in a way that pulls the reader in. How? By asking a question that you soooo want to answer. Take a look to see how they did it . . . In the second trailer, the focus shifts just a bit more. 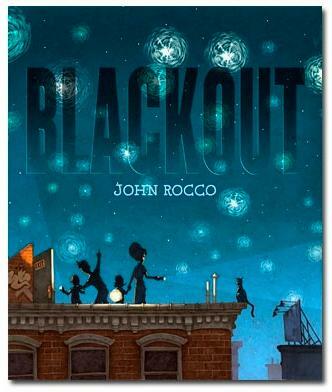 The picture book is called Blackout and while the video shows illustrations from the book, the video shows so much more. It includes cameos with actual New Yorkers telling what they were doing when the power went out. The third trailer takes yet another step back. The picture book is Prairie Storms by my friend Darcy Pattison. Darcy did her research and found that the most frequently forwarded videos are humorous. Her book is about how animals survive harsh prairie weather. Not so funny. So she made a humorous video pitting a bison on ice against a vintage skating video. Take a look. Consider these three approaches and your WIP. Which would be most effective for you? Ask me about research. Ask me about plot. Ask me about character. But please, please, please don’t ask me about voice. I freeze up every time. This makes yesterday’s post on The Muffin that much more surprising because I wrote about voice. No, I don’t feel like I have all of the answers but I do feel like I’m gaining a bit of insight here and there. We’ll see if I can put this insight to work toward the end of the week when I get back into my middle grade novel. Thanks to agent Janet Reid who pointed this fun video out on her blog.